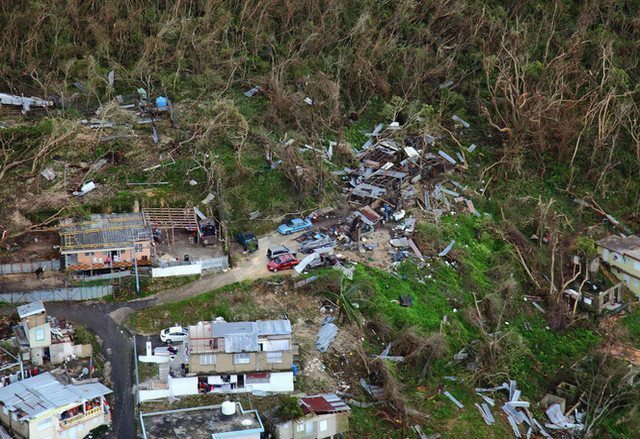 Distributed renewable energy figures to play a bigger part in generating and distributing electrical power and energy in Puerto Rico and the US Virgin Islands in the wake of Hurricanes Irma and Maria. Responses to the humanitarian crisis on the part of pioneering market leaders, such as Tesla-Solar City, along with a host of other solar photovoltaic (PV) and battery-based energy storage companies have recently made headlines. Holding out the promise of lower cost, more reliable and more resilient electricity, overcoming institutional and bureaucratic inertia – the influence and power of entrenched vested interests in particular – won’t be easy, however. Ongoing declines in the costs and improvements in the performance of solar, battery-based energy storage and microgrid systems are the primary factor making a new, decentralized and environmentally friendly model for electricity generation and distribution viable. Digitization serves as the third pillar of the new energy foundation. A new contingent of solar and distributed renewable energy social and sustainable energy enterprises are emerging as a result. They’re taking advantage of the dispersion of affordable, digital, distributed renewable energy control and management systems; sales, marketing, billing and customer relationship management (CRM) platforms, business-to-business (B2B) and business-to-consumer (B2C) communications to forge alliances, strategic partnerships, joint ventures and new, decentralized, distributed solar energy businesses. Some are on the ground in Puerto Rico providing disaster relief and helping rebuild the island’s energy infrastructure, efforts that may realize a vision of a more affordable, reliable, resilient, equitable and environmentally friendly energy infrastructure in Puerto Rico, the US Virgin Islands and beyond. Hurricane Maria struck Puerto Rico’s south coast early Sept. 20 morning. With sustained wind speeds topping out at 185 mph, Maria would devastate the US island territory’s power and water infrastructure before moving on. Approximately 46.6 percent of normal peak load had been restored, and 57 of 78 municipalities partially or fully energized on Puerto Rico two months later, as of November 20, according to the US Dept. of Energy’s latest Hurricanes Maria and Irma Event Summary report. A large host of power and energy industry participants have descended on the island since, eager to help Puerto Rico recover from the devastation. 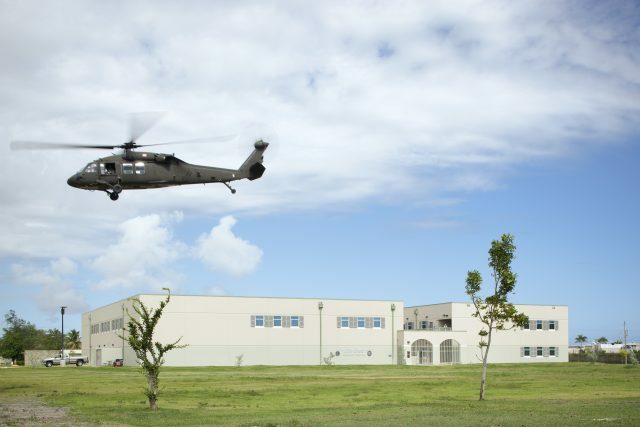 Led by Puerto Rico Governor Ricardo Rossello and his administration with support from the Federal Emergency Management Agency (FEMA), they face a daunting challenge, not only in terms of technology implementation and logistics. Forging a consensus view of the shape and form Puerto Rico’s new energy infrastructure should take, as well as exactly how it should be done and by whom, is open to debate and prone to the influence of entrenched vested interests. That will prolong rebuilding and recovery. Adding pressure to an already extremely tense and pressure-filled situation, Puerto Rico’s leaders and populace coincidentally face the urgent need to restore electrical power and energy – and water utility services – as quickly as possible. Digital computing, communications and power and energy technology are coming together and being applied in other ways. That includes the creation of decentralized solar-storage and other sustainable energy enterprises. AMURTEL is an international non-profit coalition of socially and environmentally minded volunteer solar energy professionals and organizations dedicated to helping improve the quality of life for those who live in chronic poverty or acute stress – be that environmental, financial or political. Joining with the Amicus Solar Cooperative, AMURTEL is deploying Solar Outreach Systems (SOS) that deliver reliable, resilient electrical power and energy to critical and hard to reach locations in Puerto Rico. “At an 18-degree latitude, Puerto Rico is an ideal geography for solar energy, but with so little solar in place right now, few businesses or homes are able to take advantage of this sustainable source of power. Having to depend on the old power grid means Puerto Rican communities are looking at being without power for up to a year. 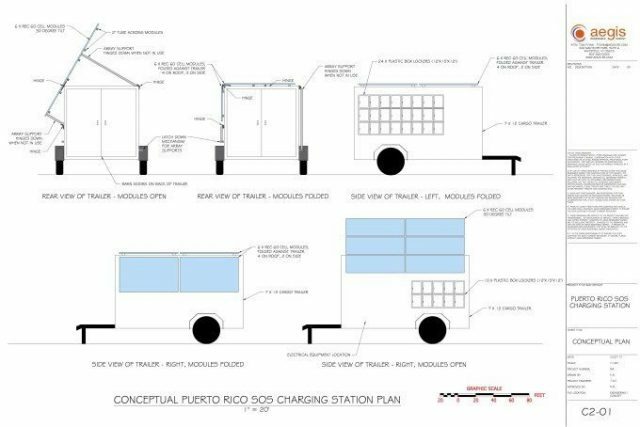 The Amicus-AMURTEL SOS partnership is looking to raise funds for SOS deployments via a public relations campaign dubbed “Power on Puerto Rico.” The main goal is to design, build, and deploy and initial set of 10 portable, off-grid solar systems that will supply electricity for remote community centers, thus offering residents and the broader public the means to charge cell phones, rechargeable lights, radios, and other low load, high-value products that can provide immediate relief to hurricane victims. Ultimately, “Power for Puerto Rico” project partners intend to deploy 100 SOS units. Tax deductible donations of materials, services, and cash contributions can be made via the Amurtel.org website. An Amicus member based in Puerto Rico, Aireko Foundation, itself a spin-off of Aireko Energy Solutions, is deploying the SOS. The portable solar-storage solutions will be on loan to the communities for as long as they need them, AMURTEL highlights in a press release. “The aftermath of Hurricane Maria has been as strong, and even harder, than the path of the storm itself, especially for those communities that are lucky enough to have this service, which are very few. Sadly, those communities are far from returning to their normal lives,” said Hector Rivera Russe of Aireko Energy Solutions.